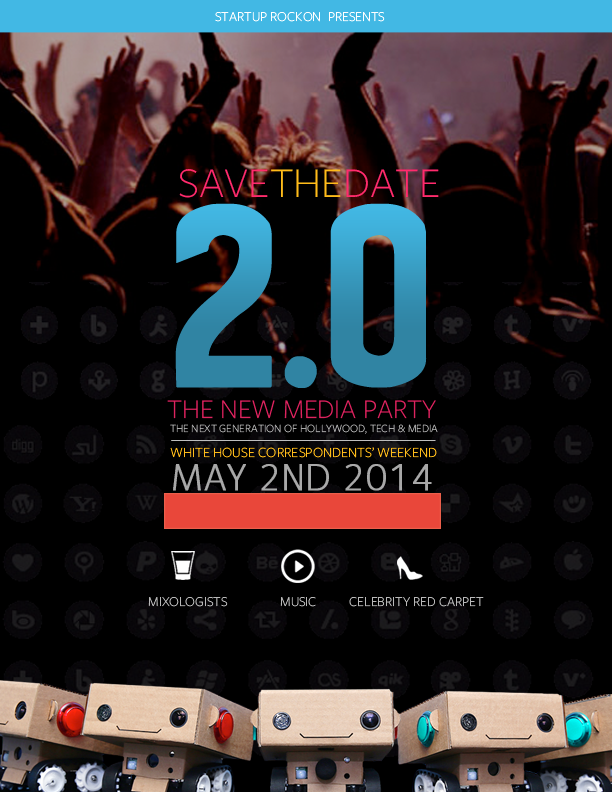 Now less than 2 weeks away, White House Correspondents madness is in full swing. 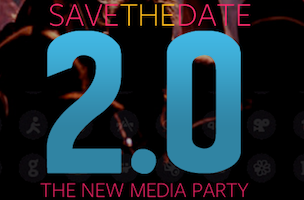 Recently to our inboxes is an invite to StartUp RockOn’s 2.0: The New Media Party in celebration of the WHCD’s centennial. Miniature talking robots offering personal conversations with guests who share their information with the event organizers prior to the party. Suspended spheres over the dance floor enabling guests to download music during the sets of DJ Gavin Holland and U.S. Royalty. Craft cocktails by Derek Brown – owner of The Passenger and The Columbia Room – and a variety of food trucks on site. Founded by Event Farm and HyperVocal, StartUp RockOn has thrown popular events at the RNC, DNC and Inauguration, with musical headliners including The Roots and Talib Kweli. The evening is sponsored by Microsoft, AOL, Zingal Labs, Viacom, the U.S. Chamber’s Global Intellectual Property Center, and Mobile Future.